The plug will sport an entirely new design that is similar in size to the existing Micro-B connector and will work with USB 3.1, USB 3.0, and USB 2, according to the USB-IF. 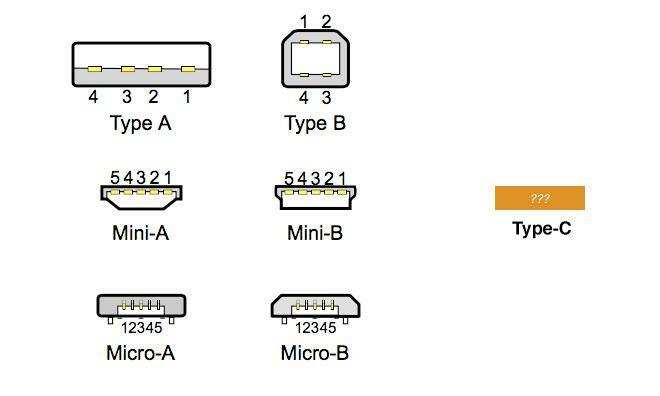 The Micro-B connector— which is used by Apple as a service port on the Apple TV— measures just 6.85 millimeters by 1.80 millimeters. Much to the relief of users who have been frustrated with existing USB connectors' unidirectional nature, the USB-IF will take a page from Apple's playbook and make the Type-C reversible. 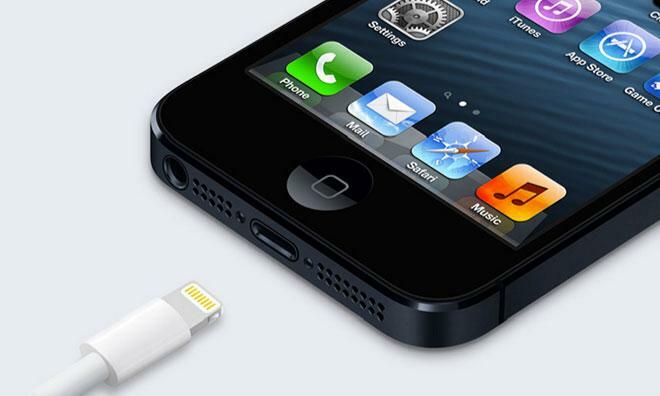 Apple's reversible Lightning connector, which replaced the venerable 30-pin dock connector beginning with the iPhone 5, has been lauded by users for its ease-of-use and allowed Cupertino to save precious space in devices thanks to Lightning's compact 7.7 millimeter by 1.7 millimeter dimensions. USB's inventor, Intel engineer Ajay Bhatt, told The Economist in October that making the connector "flippable" was his next goal. USB has, according to the publication, been saddled until now with one-way plugs due to a desire to keep manufacturing costs as low as possible. Apple's Lightning connector is slightly thinner and wider than the new USB Type-C. Flying under the radar in the USB-IF's announcement was the revelation that the Type-C connector will support USB 3.1's USB Power Delivery feature. USB PD is designed to deliver up to 5 amps and 100 watts to connected devices, significantly expanding the range of items that can be powered by the port. USB 3.0, in contrast, provides just 1.5 amps and 10 watts. USB PD also allows for devices to negotiate for power. For instance, a laptop running on battery power can increase charging capacity to a connected handset when the laptop is idle, then reduce the capacity when it needs to spin up its hard disk. USB PD can provide power for a range of devices from handsets to desktop computers. USB PD is not limited to small electronics. Moixa, a London-based technology company, powers its office's LED lighting, monitors, printers, and laptops from a prototype USB PD implementation. Combining USB 3.1's anticipated 10 Gbps throughput and the USB PD system makes the standard a staunch competitor to Apple and Intel's Thunderbolt interface. Though Thunderbolt 2 bumped throughput to 20 Gbps, a Thunderbolt cable can provide just 10 watts of power to connected devices, and the connector— though small— is still nearly twice as large as the proposed USB Type-C plug. The USB-IF has showed off the combination's potential at this year's CES with an impressive demonstration, discovered by AnandTech, that mimicked Thunderbolt's ability to drive daisy-chained displays while transferring data with the added twist of powering the devices entirely via USB PD. Two monitors, one connected to mains power, and a Lenovo laptop were modified to work with USB 3.0 and the USB PD standard. The mains-connected monitor was able to power both the laptop and the other monitor, allow the laptop to use both monitors as external displays, and enable the laptop to access a thumb drive connected at the end of the chain with just a single USB cable. Nearly every device in Apple's product line makes use of USB in some way, and with USB 3.1 presenting a meaningful challenge to Thunderbolt, it is unclear what path Cupertino will take in the future. Ports represent one of the most limiting constraints in device design— the USB port, for instance, is the MacBook Air's thickest port, coming in at nearly the same height as the laptop's display. Apple has a history of striving to eliminate as many ports from its devices as possible. In the service of scale, DVI has given way to Mini DVI and eventually to Mini DisplayPort. Mini DisplayPort and Firewire, in turn, gave way to Thunderbolt. Dual microphone and headset ports were consolidated into a single port in the MacBook Air. Even Apple's relatively new and low-profile MagSafe power connectors have been redesigned to be thinner, with the MagSafe 2 debuting in the Retina MacBook Pro. With the USB 3.1 specification not expected to be finalized until mid-2014, the possibility exists that Apple and Intel may make enhancements to Thunderbolt to compete with USB 3.1 and USB PD before the new standard can achieve market ubiquity. Thunderbolt was originally conceived to use optical connections for data transfer, and some have theorized that the companies could design a hybrid optical-electrical cable that would both boost throughput and allow for increased power delivery.